Ultrasonic cleaners are an essential element to the process of sterilizing your medical instruments. Ultrasonic cleaning takes place before you place your medical supplies into your autoclave sterilizer. By the end of this article you will know what an ultrasonic cleaner is, how to distinguish what is the best ultrasonic cleaner for you, what ultrasonic parts your cleaner will need and more. Before we begin let’s first start with answering your first question. 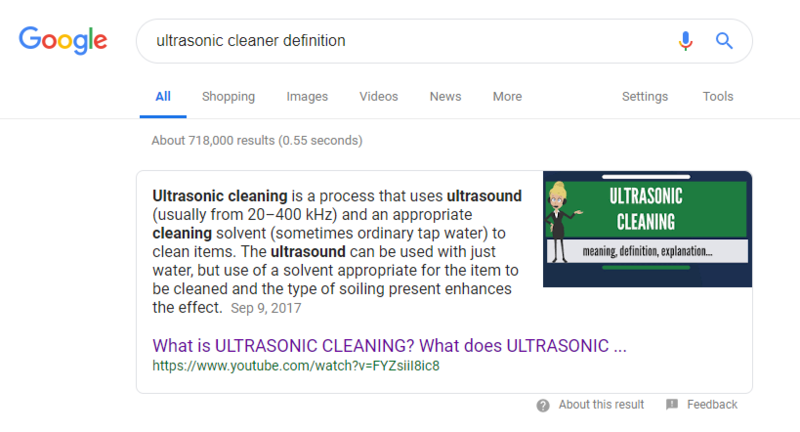 “Ultrasonic cleaning is a process that uses ultrasound (usually from 20–400 kHz) and an appropriate cleaning solvent (sometimes ordinary tap water) to clean items. Here is the link to the ultrasonic cleaner video mentioned above. To make things simple and easy to understand let’s break Ultrasonic Cleaners down to a science. Ultrasonic cleaning uses “Ultrasound” which utilizes vibrations, sound frequency to clean medical supplies. Using water or an ultrasonic cleaner solution will improve the cleaning results. Once you take out cleaned your medical supplies from your ultrasonic cleaner it is a must to follow up right away with sterilization by an autoclave machine for optimal sterilization. "Why do I need 2 cleaning machines?" The short answer is YES you do, and NO one is not enough. Especially when you are a medical professional dealing with the health of human lives! Let me give you a metaphor so you can visualize the importance of using both the ultrasonic cleaner and the autoclave sterilizer. Most households now a days have washing machines.Let’s compare autoclave’s to washing machines because they are essentially super strong washing machines for medical supplies. Once you finish your dinner you made have some food or scraps left on your plate. My question is do you toss that dirty dish directly into the dish washer? Or do you do something beforehand? Well if you own a home or were raised with proper etiquette you would scrap the unwanted food into the garbage and rinse it off in the sink before putting it into the washing machine. Now I don’t have to tell you why you do this because you already know. But, for those with maids and never did a chore in their life let me explain. If you simply placed a dirty dish with food on it into the dish washer, most of the time once the washing cycle is over the dish is still dirty. The same goes for dirty medical supplies that do not receive ultrasonic cleaning prior to being properly sterilized in an autoclave machine. With the absence of using an ultrasonic cleaner you will find your medical supplies look dirty after their autoclave cycles. At this point you should be able to describe what an ultrasonic cleaner is to a fellow colleague. If you still have questions it is perfectly understandable. This can a lot of information to take in, especially if this is all new to you. If this is the case call one of our product experts now at 800-510-8546. Now let’s talk about how to find out which is the best ultrasonic cleaner for you. 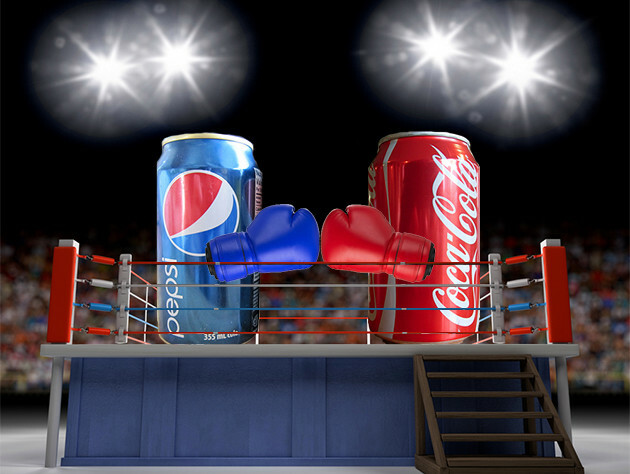 As far as which brand is superior is a matter of opinion just like which soda tastes better Pepsi or Coca Cola? Choosing which ultra sonic cleaner is right for you goes hand in hand with the autoclave you already own. This is presuming you made an educated purchase when buying your autoclave. Considering the size of your office, how busy it is and how big are your medical supplies should determine the autoclave you buy. 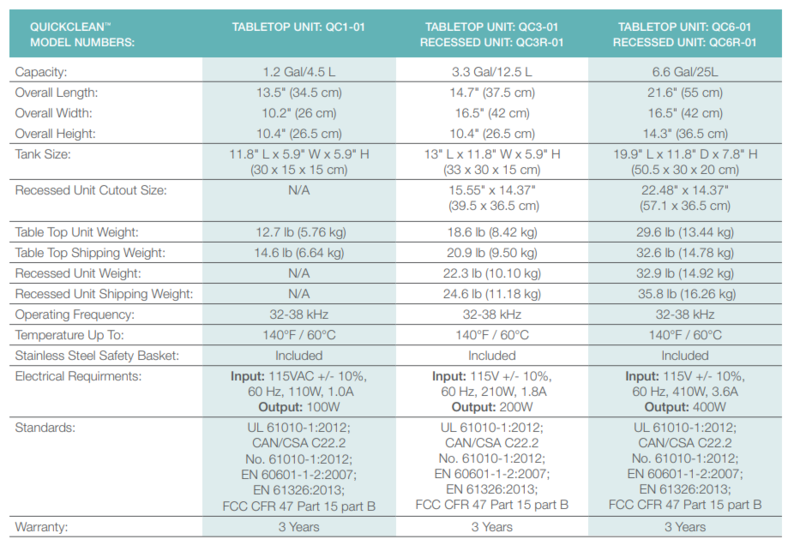 Below find both the Midmark and Tuttnauer Ultrasonic Comparison Charts. 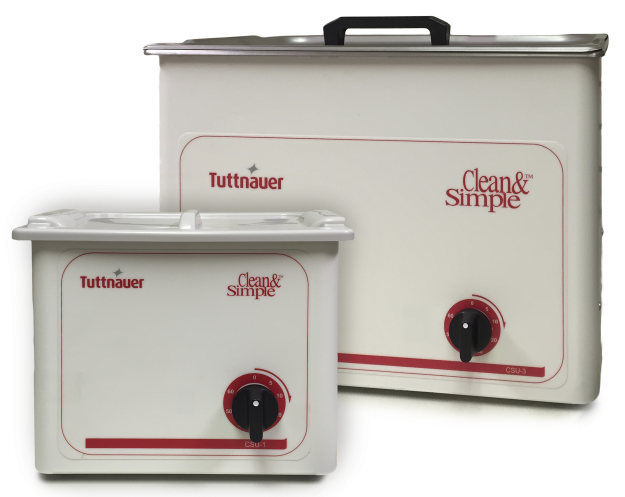 With these factors in mind be an educated consumer by looking at the comparison charts for both the Midmark Ritter and Tuttnauer USA ultrasonic cleaners. If you find yourself puzzled with deciding, please do not stress! At Autoclave Depot we are #1 in customer service and providing expert advice for ultrasonic cleaners and autoclaves. We are more than happy to help. Call us now if you have any questions, 800-510-8546. At Autoclave Depot we only offer the best medical supplies available. We are a proud authorized dealer and only sell original equipment manufacturer products.Take a look at our complete ultrasonic cleaner catalog to find the best parts, kits and more. We hope this informative research based article has helped you learning more about ultrasonic cleaners. As always if you have any questions contact us on our website’s Live Chat, call us at 800-510-8546 or send us a message from our contact page found here.